There are watches out there that are begging to be engraved. They tend to have large surfaces that are like blank canvases ready to welcome the creative touch of an artist. 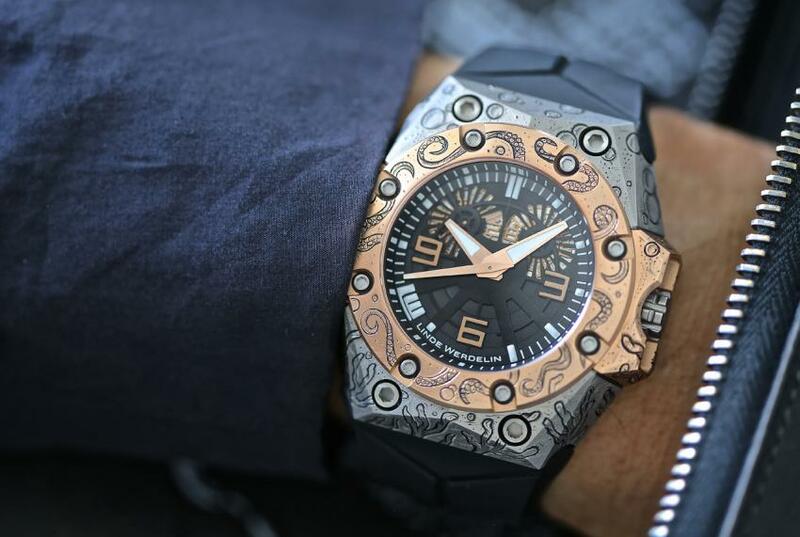 Linde Werdelin is one of this brands making such watches and they actually did launch engraved models in the past, like the Oktopus Tattoo from 2010 or the Oktopus Moon Tatto from 2013. 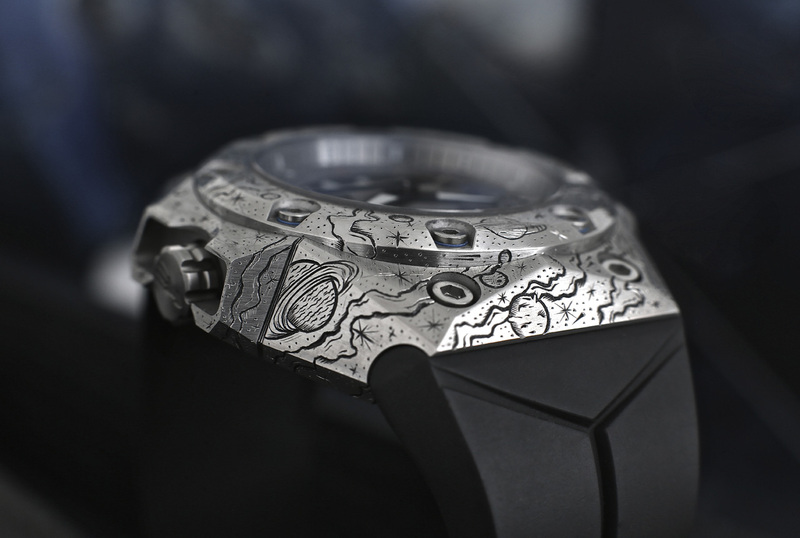 But in 2016 they are upping their engraving game with the introduction of the Oktopus Reef and Oktopus Crazy Universe. 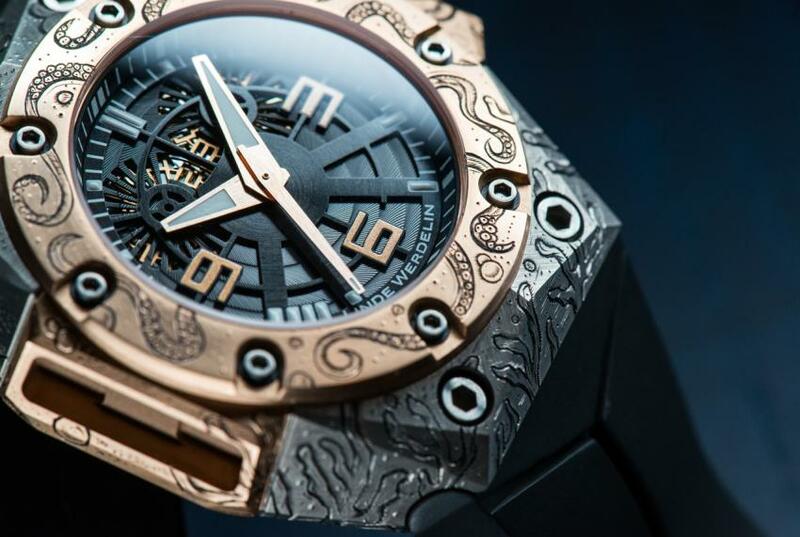 Unlike the Tattoo watches that were laser engraved, these two are born from the collaboration with Johnny Dowell, an artist and a gun engraver. The effort to create the new collection is incomparable, Dowell spent 100 hours on each timepiece. Before going into the details about the watches, just a few words about Johnny Dowell. He got into the trade of gun engraving following the footsteps of his uncle who was a gun maker. 14 years ago, following a five-year long learning period, he started working for Britain’s most prestigious gun engravers, later turning to jewellery and now, to watches. 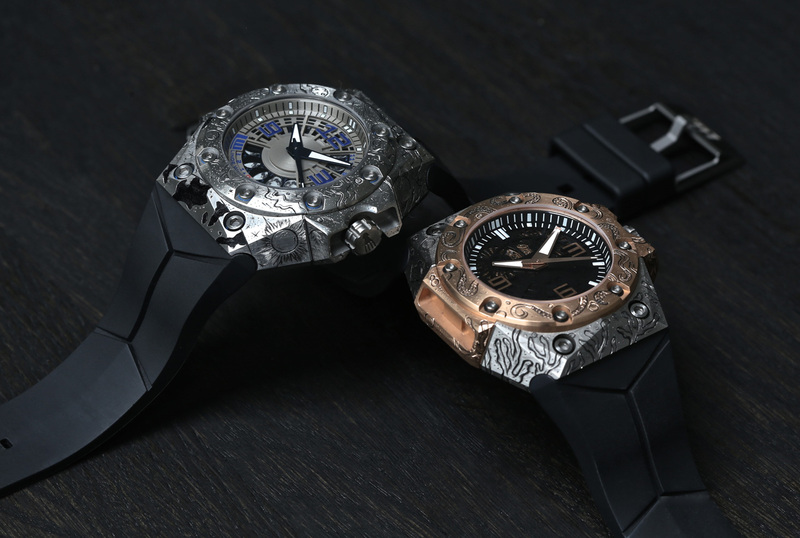 The Oktopus line, in general, is the ultimate badass dive watch collection and what can be a more appropriate decoration for a rose gold and titanium Oktopus than an underwater scene filled with corals, octopuses and other sea creatures. “I must admit doing this Oktopus Reef project has been the most fun just because I had a lot more space to manoeuvre with regards to design and drawings. I had a lot more freedom compared with other projects I’ve worked on. It was quite satisfying to transfer the drawings I’d put in the original templates onto the watch. “I wanted to create movement in the engraving, having the tentacles turning and twirling, showing the suckers underneath. Linde Werdelin is known to keep their series to less than 100 pieces, and while there is no word on the exact number of Oktopus Reef watches that will be made, you can bet it will be rare. It will retail for 22,000 CHF. 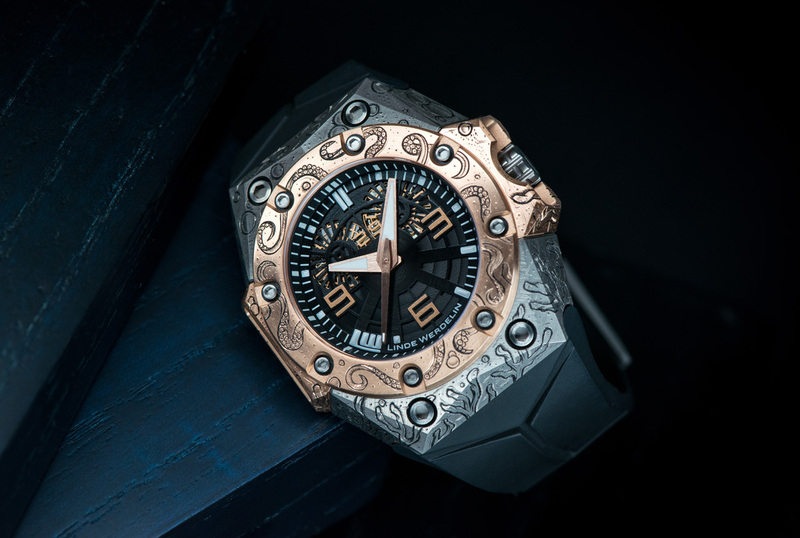 The second Linde Werdelin model made in collaboration with Dowell is the Oktopus Crazy Universe, which is basically an Oktopus BluMoon moonphase watch decorated with a celestial scene of the sun, the Earth at six o’clock, various planets and meteorites. 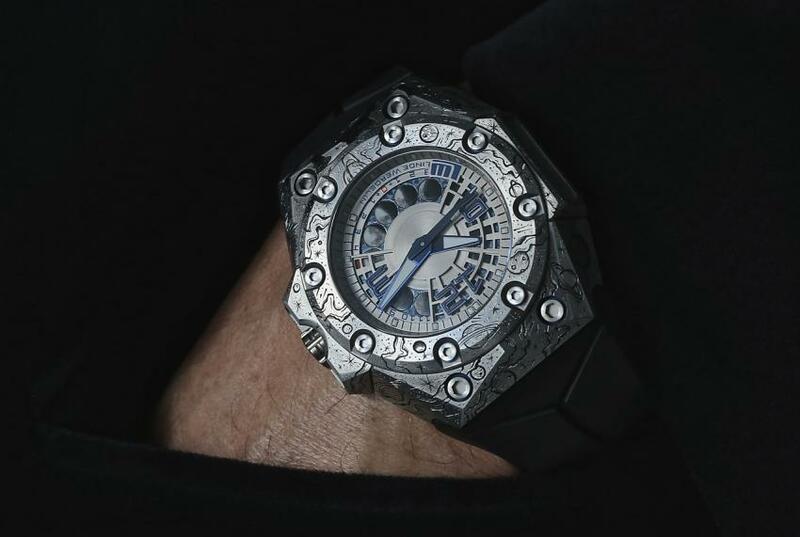 Available on the Linde Werdelin website, the Oktopus Crazy Universe is priced at 20,000 Swiss francs, excluding VAT.